Friday, Apr. 12, 2019, 1 – 3 p.m. The Pacific Island nation of Kiribati is one of the first countries that must confront the main existential dilemma of our time: imminent annihilation from sea-level rise. 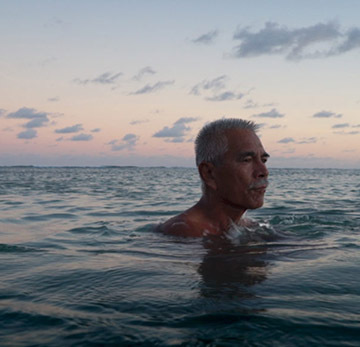 While Kiribati’s President, Anote Tong, races to find a way to protect his nation’s people and maintain their dignity, many Kiribati are already seeking safe harbor overseas. More about Anote's Ark.